Newcastle Blue Star were a non league football club based in Newcastle-Upon-Tyne in the north east of England. 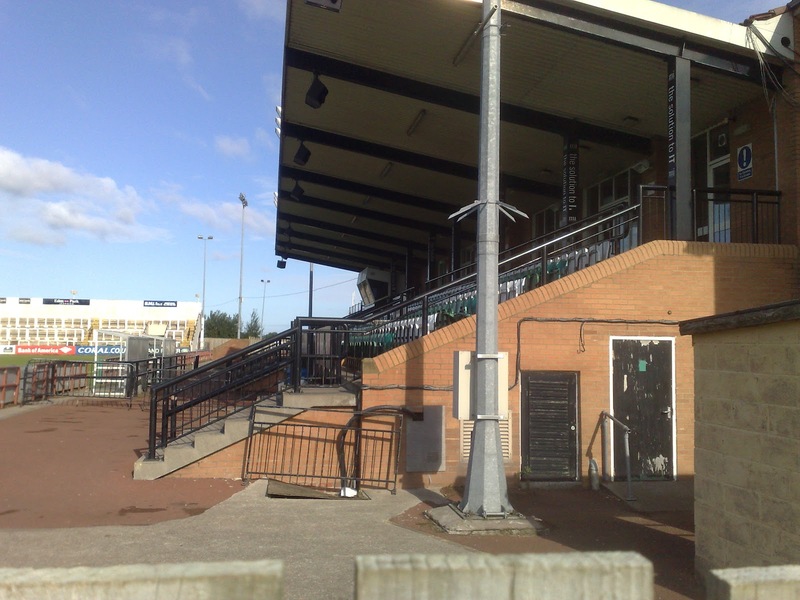 The club were a prominent name in the non league game in the area for a few decades until new owners came in with unrealistic ambitions. The club started out as Newcastle Blue Star, before becoming just plain Blue Star in the early 1970's. After over fourty years of playing local league football, the club were admitted into the Wearside League in 1973. Around this time the club moved to the Wheatsheaf Ground, out near the city's airport. The club took to its new status winning the league title at the first attempt and regaining it in the 1975-76 season. 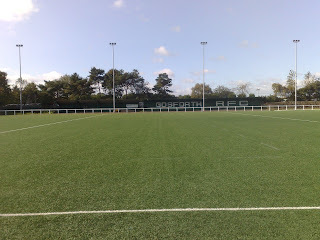 Even greater was victory the following season at Wembley in the FA Vase when Barton Rovers were defeated in the final. In the early 80's three more Wearside League titles were added as well as an FA Cup first round appearence, where 'The Star' were defeated in an away tie to York City. In 1985 the club progressed to Northern League status, winning promotion to the top tier at the first attempt. 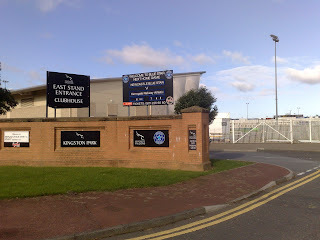 The following year the club changed their name back to Newcastle Blue Star. 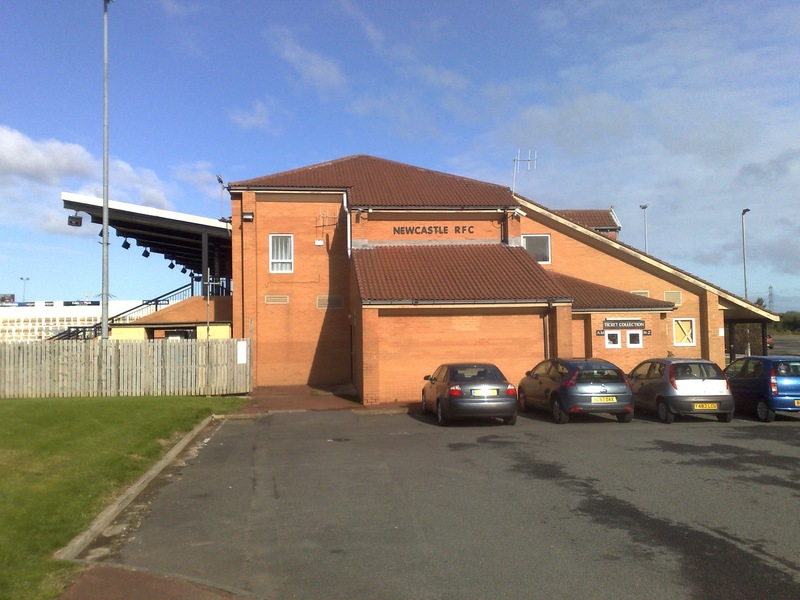 In 1992 a controversial bid was made by local businessman John Waugh to buy financially strapped Maidstone United and merge them with Blue Star to form a new club to play in Tyneside in the Football League and to be called Newcastle Browns FC, but Waugh was strongly rebuffed by the League. Two years later the club were renamed RTM Newcastle after a sponsorship deal. In 1998 the club reverted back to their previous title. 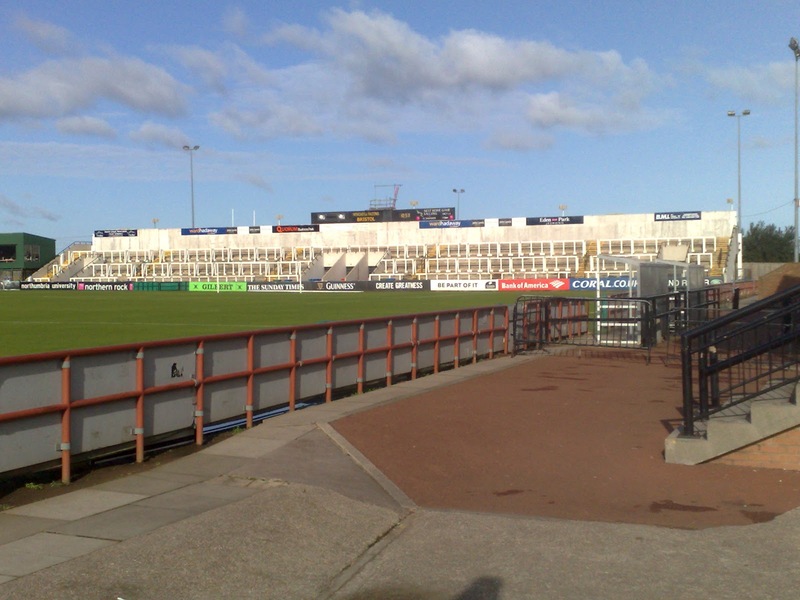 The team were relegated around the millennium, but bounced back after a four seasons lapse. Their return was dramatic as the side completed a Northern League and Cup double, but they were unable to accept promotion as the Wheatsheaf Ground did not meet the ground grading requirements. 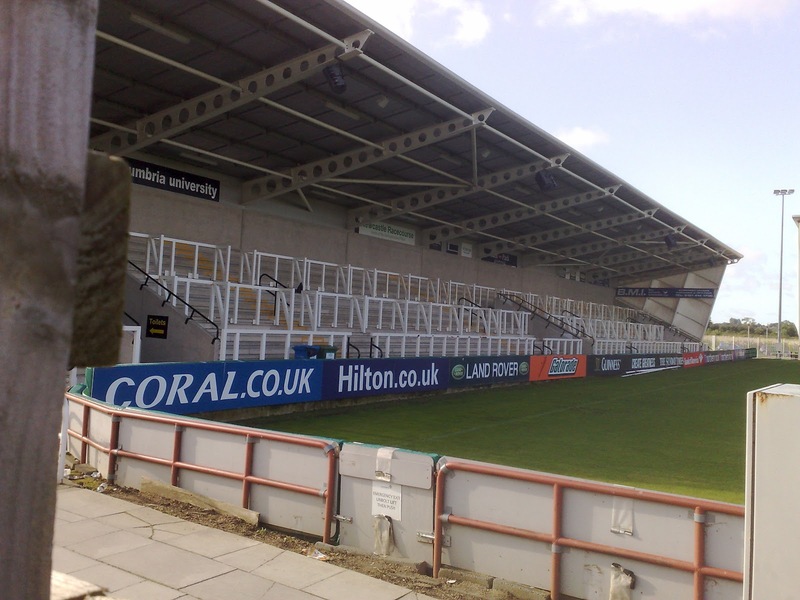 The FA were keen on Northern League clubs progressing further up the pyramid. There had been a retisence by clubs owing to the lack of local matches and travelling expenses, but Blue Star were keen to progress. 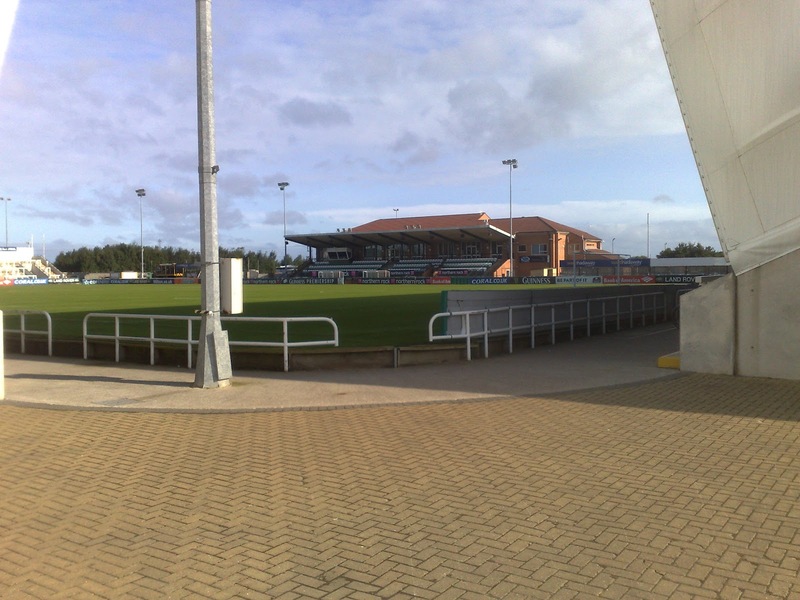 They were accepted into the Northern Premier League for the 2007-08 season after agreeing to move to Kingston Park to share with Newcastle Falcons Rugby Club. The Blue Star Chairman Dave Thompson also owned The Falcons. At the same time the club were given a £65,000 grant by the Football Stadia Improvement Foundation to lay a new 3G pitch at the Wheatsheaf Ground, even though the club had moved out. 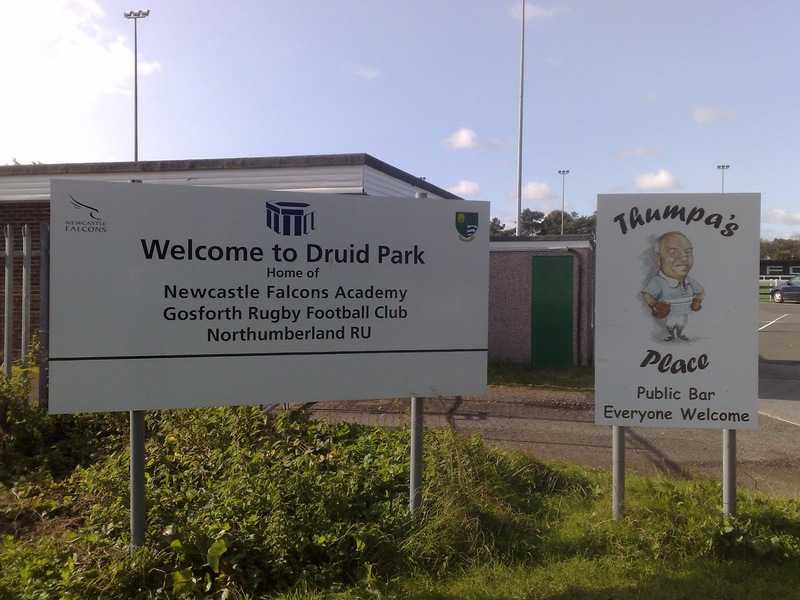 Thompson took a twenty five year lease out on the ground from the owners and then renamed it Druid Park and used it for Falcons training purposes as well as sub letting it to Gosforth Rugby Club as prime tenants. 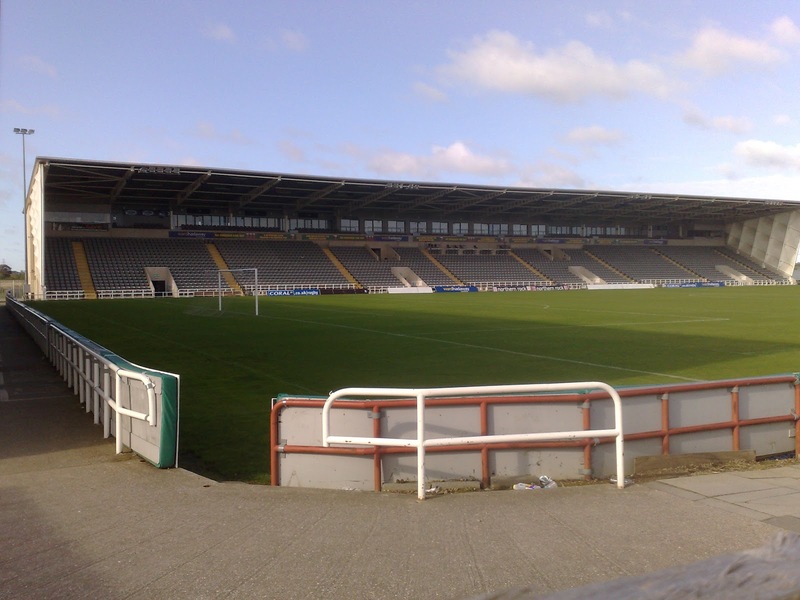 The move to the higher division was not a success financially and the club asked in March 2008 if they could rejoin the Northern League. This request was turned down and the following season under the managership of Paul Baker, who had taken over from Tommy Cassidy, The Star won promotion via the end of season play offs. 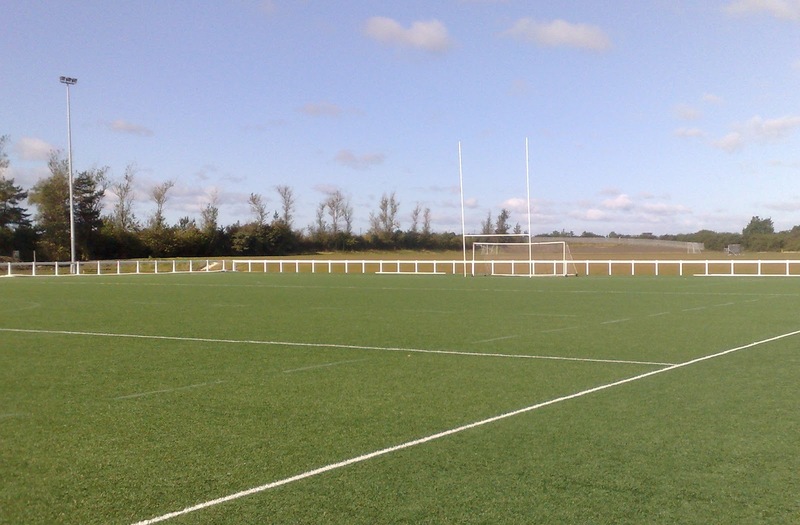 Thompson was not impressed with crowds of under 100 for some home games and he withdrew his funding. At the same time FSIF wanted their £65,000 back as Blue Star were not using the ground it was spent on. They allowed time for the repayments, but rather than going down that route the club folded in June 2009. I was visiting the north east for a few days before attending Scarborough Athletic's FA Vase tie at Esh Winning on the Saturday. I stayed at a cheap but not massively cheerful bed and breakfast on Whitley Bay sea front the previous evening and indulged in the culture of a Thursday night out in the town. 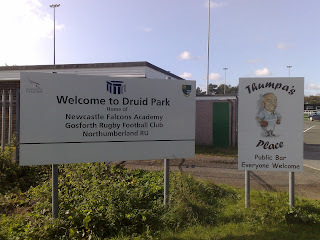 After hazy visits to the homes of Whitley Bay, Blyth Spartans and Bedlington Terriers I took a bus back towards Newcastle to join the Metro at South Gosford to head out initially to Kingston Park. I alighted at the station of that name and walked through a modern housing estate for ten minutes or so before finding myself outside the impressive stadium. The near Brunton Road End had a large covered terrace. To the left was a full length covered seated stand. 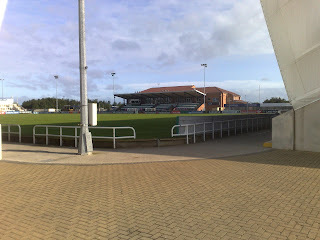 Opposite this was a decent sized stand on the half way line with the clubhouse and offices built into the back of it. Flat open standing bordered this structure. 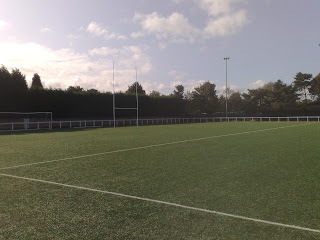 The final part was behind the far goal/posts. 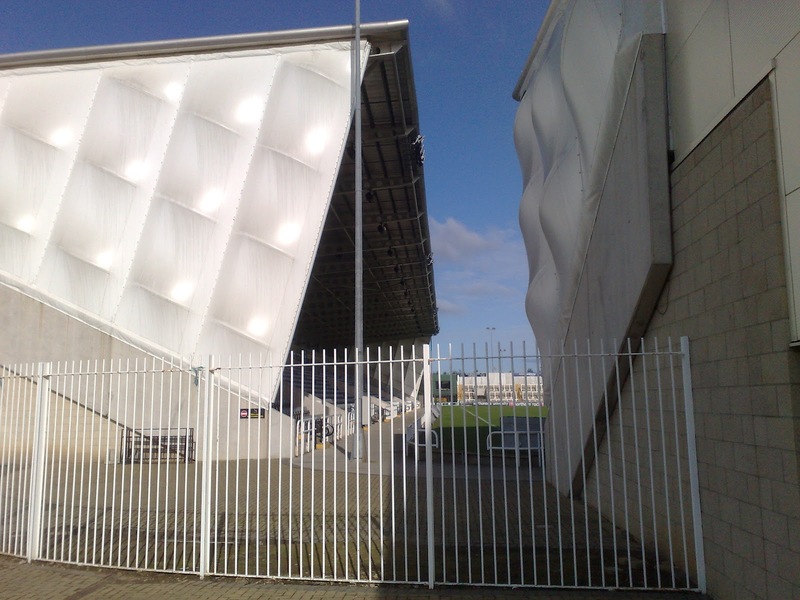 This was an open terracing. All the structures were neat and tidy and looked like that they had been recently added. I returned to the station and caught a train west to Callerton Parkway as the planes flew closely overhead. Druid Park, or the Wheatsheaf Ground as it was called during Blue Star's tenure was a short walk down a road past the Wheatsheaf pub. The ground was open so I could have a decent look. 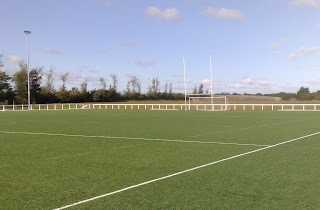 Druid Park had the relatively new 3G pitch with open spectator facilities all the way around. 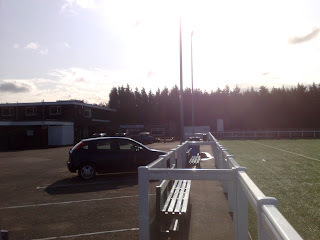 The near side had the clubhouse and changing facilities along with a car park. 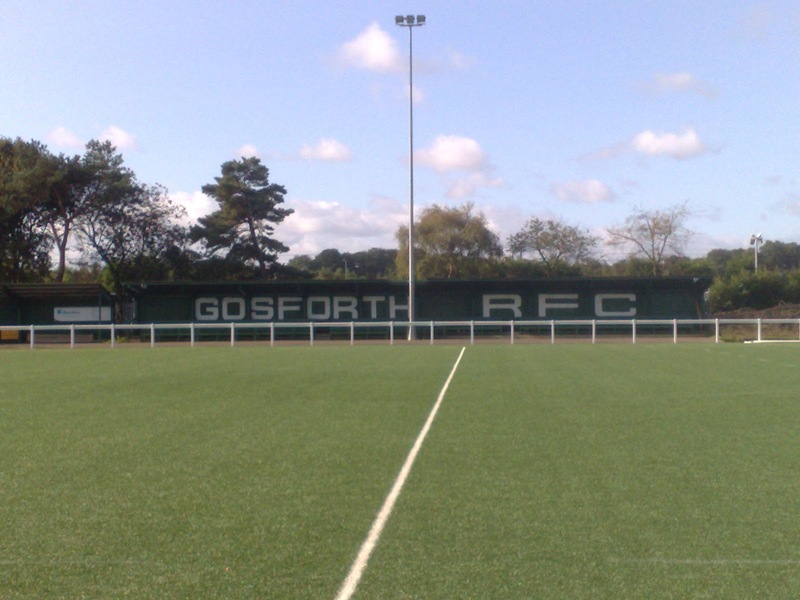 The only covered area was a small stand on the far side, which was emblazoned with 'Gosforth RFC' on the back wall. I left the ground and took a further train to the terminus at the airport. I hadn't taken up plan spotting, but I had a lunchtime appointment with Bunner and his good lady Anita. He had rung me the previous evening from Jarrow where he had been staying before their intended annual holiday to Turkey. That morning he called me again in somewhat of a state. They had turned up to be told that their flight and holiday was cancelled because of lack of bookings. After what I can only imagine to have been harsh negotiations, they agreed to compensation for a better hotel but a later flight. It was the least I could do to join them in the departure terminal for a few drinks! I said my goodbyes and promised updates from Boro's game the following day, before catching the Metro back to the city to connect onto a train south of the river to carry on my afternoon adventures. I enjoyed my day out, and if truth be told I could see troubles ahead for Blue Star at the time. Playing in a large stadium with all the overheads was never going to satisfy an owner of both clubs. Only one would suffer, and I didn't have to be a genious to work out which one it would be.